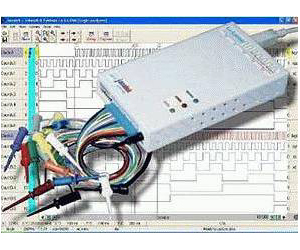 The Lu-La-USB is a small, yet very capable PC Based Logic Analyzer. It can capture at 200MHz on its 16 Channels simultaneously. The software is mature and allows easy and intuitive interfacing to the instrument. The Lu-La-USB interfaces to the PC via the USB port.